Every minute nearly three hundred of these beings open their screaming mouths to earth’s listening ears. Babies! And the joy of bringing them home, to their well equipped, baby proof home is step two. Hopefully you are prepared! You know the expression. Sleeping like a baby? Yeah, well whoever coined that one never slept in the vicinity of a baby. And if he did, he wore noise-cancelling headphones in a soundproof room three stories above the commotion. Colic, hunger, dirty diapers, separation anxiety, too tight swaddles: Any of this sound familiar? These are just a few of the symptoms that attack the baby when the lights are turned down low and la la land beckons us with sweet, sweet REM sleep. But it’s not to be, because sleeping like a baby is the definition of an insomniac. Rocking chairs are a fond but distant memory of the past. With crazy working schedules for both mom and dad, when you’re on call 24/7 with your baby, you want to rock them back to slumber in something you wouldn’t mind falling asleep in as well. 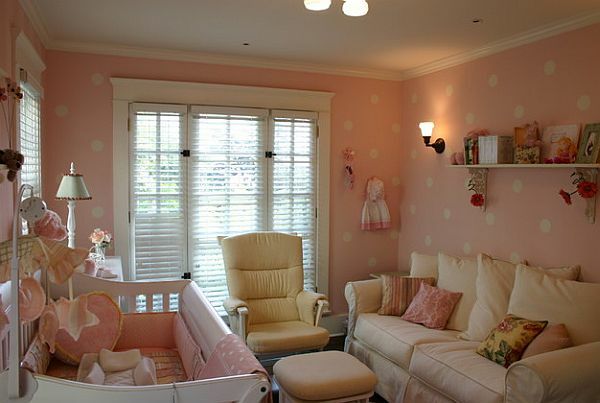 Create a sitting room within your baby’s living space that can seat your family or friends who want to visit baby and you. An upholstered glider for you and a nice Bridgewater or Lawson for stretching out or inviting your new born baby’s fan club inside. 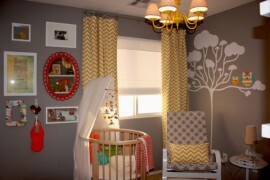 Tell me, when your baby turns one, will you redesign the concept of their room? You know, make it more toddler-esque appropriate? Doubtful. 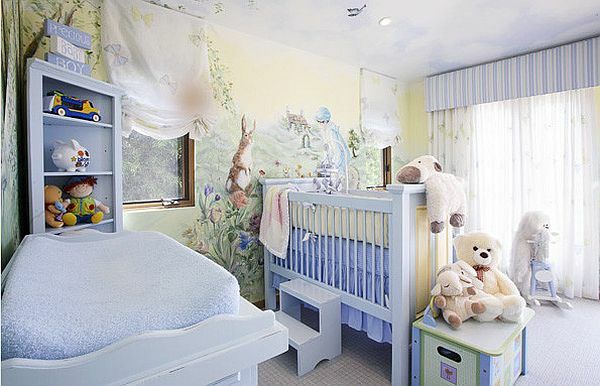 So create a healthy, and educational environment that doesn’t diminish the cute appeal, but the layout should include parts of their young future. Fun misshaped, mismatched alphabets on the wall or maybe an architectural bookshelf that resembles a tree. 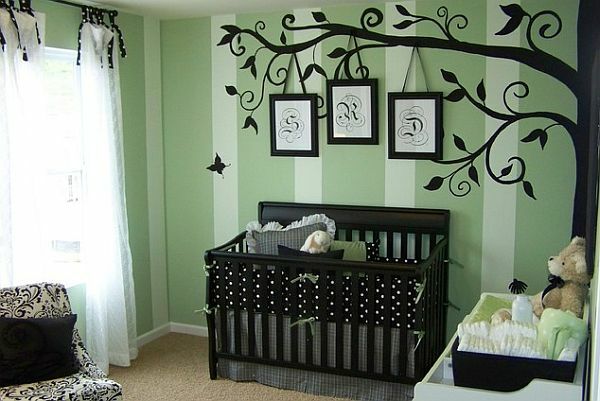 Keep both your precious bundle of joy and your hard earned budget in mind when planning the quarters. 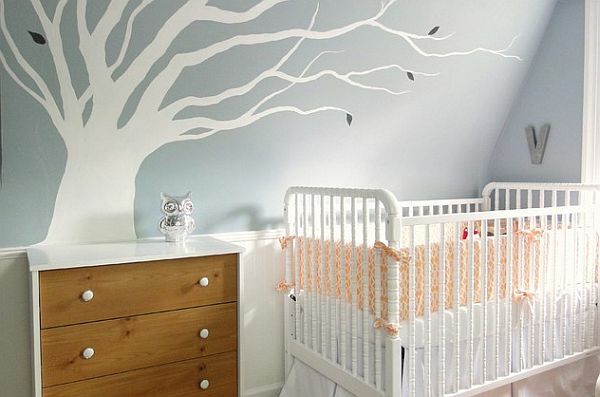 Envision how you want them to grow up in a pro-imagination room. Smooth as a baby’s ______. You fill in the blank. If you want to preserve and nurture the health of you vulnerable child, now is the time to start implementing a strict and healthy regimen. 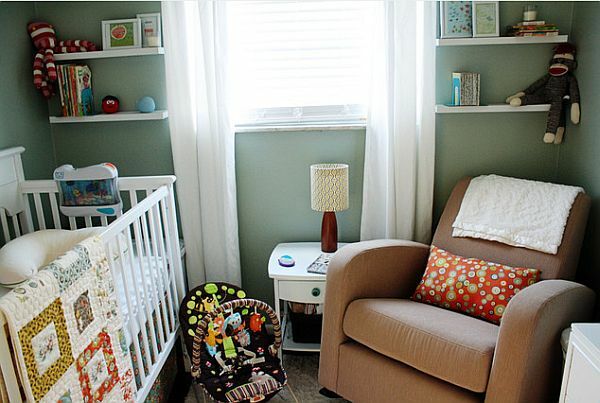 Organic mattress, blankets and pillows made easily accessible by NaturePedic and other companies who feel a nursery can be an organic place. Some fresh air and sunlight…hey you worked nine long months to perfect that rosy hue, so keep investing in their skin with an array of products that will partner with you towards a happy, healthy baby. As much as you enjoy the days where they just want to cuddle with you and are solely dependent upon you, the moment will come when they can turn by themselves. When they can sit up, crawl, walk, run, operate a remote, pour their own milk, chew steak, rent a car and drive away. Okay so I’m getting ahead of myself, but just like newborn sized clothes are fast outgrown, so will their time occupied by their cradle be outgrown. A soft rug that is uninhibited by furniture legs and plenty of pillows and stuffed animals for your baby to begin learning his or hers balance against. 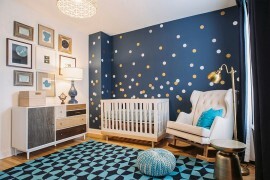 A plush, fiber filled rug that will protect their soft spot nearly as much as you do and you can rest a little more comfortably on your nursery sofa as they play at your feet. Have you ever noticed that infants never seem to get motion sickness as an adult does? Of course I wouldn’t suggest a Kings Dominion or Six Flags ride but as a ride in a car around the block can soothe the upset mind of a child, a swing often does the same. The lull, and sense of security a baby receives when wrapped tight and placed in a gentle sway motion fills them with love and peace. A stereo in the background playing some lullabies and the setting is almost heavenly. Using low VOC (Volatile Organic Compound) paints which carry less of the toxins and vapors that are harmful both to adults and young, create an carefree ambiance in your room that is calming, not psychedelic patterns that will be the stem of early set migraines. Keep a neutral palette throughout the room and allow your fundamental décor to speak in other hues. Dirty diapers aren’t dirty words. It’s an essential part of your baby’s life. As well as thoroughly used burp rags, and spit, leaked and spilled upon clothes. 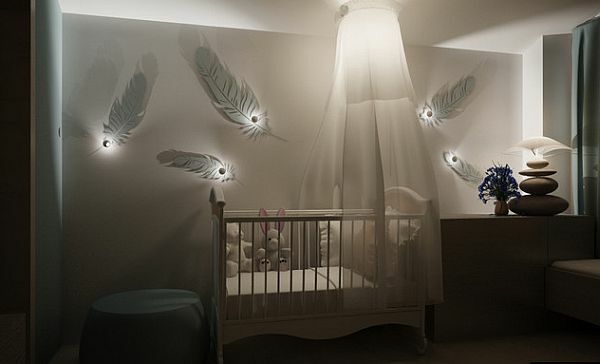 Despite your efforts towards a glamorous room to show off your new creation, if you haven’t already discovered, you will soon know there is a strong odor that emanates from such tiny humans. But you can put that stench in its place. A diaper genie and lidded hamper should solve some of the mess, don’t you think? With advanced GPS systems you can track the location of your teenage child with just the click of a button. Nanny cams, rear view cameras, webcams, we are being watched everywhere, who would have thought an innocent little soul would need to have surveillance installed as well? From their little snores, to burps you want to hear them. Know they are ok. Surviving their new existence in the big, bad world and their crazy albeit adoring family. Purchasing a more dependable, less static monitor will allow for more rest in all parties involved. What’s it been, fifteen minutes since you began reading? Well I have this gut feeling that you get to utilize number seven in some way, so I’ll let you get back to your angel. Good night, and sleep tight!